Professional Psychological Services – including Therapy, Supervision and EMDR in Kent. We launched DayOne Wellness in October 2014 with one mission: To make sustainable wellbeing simpler so everyone can live their best life. Our wellbeing (physical, mental and emotional) is the only thing we can all put to the top of our priority lists and it have a positive benefit on everything else underneath – but Western society has made it so incredibly complicated! Together Tom and Pip have traveled to some of the poorest and most remote parts of the world. Ironically it was here that they were greeted by some of the healthiest and happiest individuals they’d ever come across! 1. Eat Real Food. 2. Move Outside Daily. 3. Support your Community. NAT was originally developed in 1999 to treat frozen shoulder syndrome (adhesive capsulitis). The shoulder is one of the most complex regions in the body, involving four joints and eighteen muscles. A frozen shoulder is considered by many to manifest the worst components of all other shoulder problems put together. It is in many ways an enigma, and like other enigmas, solving the puzzle helps us gain many truths and insights of the inner workings of the nervous system. We observed that specific tender/trigger points seemed to be present in the same distribution in every single patient. To our surprise, by manipulating these points in a sequence, we discovered that our patients’ long-standing frozen shoulders seemed to melt away in as few as one or two treatments. This rapid “defrosting” could only be explained by a neurological process which led to the current theoretical model. NewMed is a leading provider of Pulsed Electro Magnetic Field Therapy (PEMF) units here in the UK. PEMF Therapy can help with pain management and sports enhancement by improving blood circulation and increasing cell metabolism. NewMed offer a range of PEMF units to suit your needs, including a combination unit that provides heat, PEMF Therapy and massage. We are working with NewMed to help promote the PEMF unit to get feedback for their website. It also provides us with an exciting opportunity to be able to offer this to our clients as a 2 week trial. Please click here to read some of their life-changing testimonies. Our run walk interval training has proved extremely successful and many many people who could not run for more than 1 min are now running 5k and beyond. Our classes have an exciting atmosphere as every session people amaze themselves with their own achievements. Above all we have fun, nobody is ever left behind and no matter whether you are 10 stone over weight, have chronic depression or low self esteem we will work with you to have fun. We will give you the confidence to be part of a sport and amaze yourself at what you are capable of doing. Hydrotherm is The World’s first 3 dimensional massage system and was designed and created by British sports and remedial therapist John Holman as a solution to the wrist and back problems associated with the giving of massage. Your body is amazing and it’s clear that you care about looking after it. Ask any of the Restoring Health team and they will tell you just how important movement and regular exercise are to the maintenance of quality pain free movement. You are truly unique and as such your exercise prescription should be too. 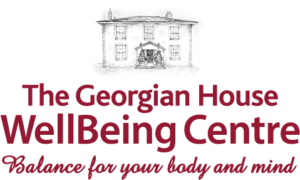 I will be working closely with the team to ensure your training is tailored to you by sharing feedback about your treatments/progress to ensure a truly holistic and caring approach. My clients wellbeing and happiness is the most important consideration in any decision I make. Workouts will be challenging and effective but not painful. I would invite you to get in touch to ask any questions you might have or simply if you would like some advice. Your Real Body are here to help you achieve your goals. Whether it’s to be moving pain free, to rehabilitate after an injury or illness or whether you want to improve your power and performance in the sport you practice. Utilising the purpose built equipment you see on these pages, your body’s movements are analysed and then broken down to allow natural, functional movements to occur, resulting in more flow, ease of movement, less pain and improved performance. ”Our simple mission at THINK Press is to replace processed juice. Our purpose is to increase the availability of fresh produce to as many people as possible, and juice is where we’re starting. Our ultimate vision is to change the shelves. For fresh juice to be the norm, rather than the exception. We passionately believe in the superior quality, taste and nutritional benefit of freshly pressed juice, and are strongly opposed to sacrificing quality for a longer shelf life. For our Pilates and Barre programmes we are very excited to team up with Victoria Bristow Pilates. Victoria has over 9 years of experience working with clients in various settings and in liaison with other professionals like Physiotherapist and Osteopaths. For more info on Exercise classes currently on offer at Restoring Health please visit our Exercise Studio page. Barming Youth F.C was founded in 1980 with just one team. The club has grown extensively since then, with over 20 teams including girls, ladies, men’s and veterans teams. The aim of the club is to provide all local youth, opportunities to play football regardless of their abilities.The club has become an F.A Charter Standard club. The Charter Standard Scheme is a best practice guide that sets standards of coaching, administration and child protection for clubs working with young people. As a benchmark for quality, it will improve the playing experience for all. Barming Youth will be running 28 teams this season from Under 5s up to Seniors, including three girls sides, and these teams will be playing at Barming School, South Street, Barming Heath, Poplar Grove, Mereworth, Gatland Lane, Eccles and West Malling. The season starts early September for all of the Barming teams and runs through to late March. Dan Fernandes is a registered Osteopath who graduated from the European school of Osteopathy. He utilises different modalities of Osteopathy (cranial, visceral, structural and dry needling). He has particular interest in sports injury and rehab. Treating from top elite level athletes to the smallest of babies. He likes to involve his patients in their own recovery from the initial consultation. He has also joined the G.O.T. – General Osteopathic Treatment team as an assistant at the prestigious European School of Osteopathy which he finds most rewording to help new practitioners find their way. The fitness suite is a private space, tucked away in Sutton Valence. Specifically designed for women who would like to improve their fitness levels, health, wellbeing & self confidence. The fitness suite is designed for personal training on a one to one basis. Each training session & program is bespoke & designed for the individual, we are all very different & one size does not fit all. Vicki, the owner, is passionate about women’s health & how women see themselves. Her approach is sympathetic & understanding. Vicki also believes that life should be about balance in both fitness regimens & nutrition. You will not find a strict diet plan at the fitness suite as Vicki believes this is unsustainable & unrealistic. Hydrotherm 3D massage to Grace Belgravia. keep their mind and body at peak performance. have you feel great and get the best out of you in any circumstance. Restoring Hands is a local charity committed to supporting the Maidstone community by providing assistance to improve quality of life, restore dignity and promote hope for the future. They partner with local organisations to facilitate and support positive change that makes a difference to our community. We have been supporting Restoring Hands for the past 5 years. We are inspired by the work they do into the local community and we will continue to support them as our business grows. Tonbridge Castle is the setting for the Castle Ride 100 charity cycling sportive that will see over 1,000 cyclists depart from the castle grounds. Kent serves up a mixture of quiet villages and beautiful scenery as you meander along quiet lanes. Expect some tough climbs on this charity bike ride as you pedal through the challenging North Downs – the views are spectacluar and well worth the effort. Help us raise vital funds to help sick and disabled babies and children. Enjoy a great day in the saddle with the Action Medical Research team on this cycling event with first class support throughout the day.